This website is primarily tailored to prospective students, training officers, incoming staff and anyone who is interested in multinational, military, individual training and education. 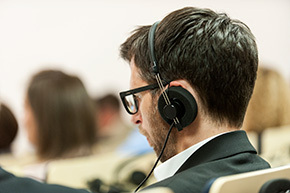 Here you can find comprehensive information about our mission, upcoming conferences and courses. 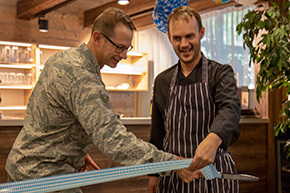 Supporting NATO since 1953, NATO School Oberammergau (NSO)'s students and staff, military and civilian, united for a very special occasion: The Alliance’s 70th Anniversary. Before the photo was taken, everyone enjoyed a delicious anniversary theme cake provided by the NSO Command Group in the NSO cafeteria. 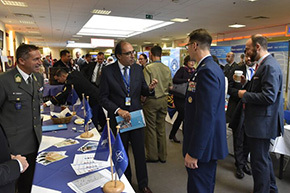 On 29 Nov 18, the 10th Partnership Training and Education Community (PTEC) Marketplace was held at the NATO HQ in Brussels. 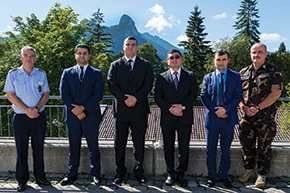 From 24-28 Sep 18, the NATO School Oberammergau (NSO) held its fourth Energy Security Strategic Awareness Course. 38 participants from 22 countries discussed multiple dimensions of energy security, ranging from geopolitical issues, maritime and cyber security, to energy efficiency in the military. A particular focus was the protection of critical energy infrastructure. In addition to lectures, participants also engaged in a table-top exercise, which allowed them to apply their newly acquired knowledge. 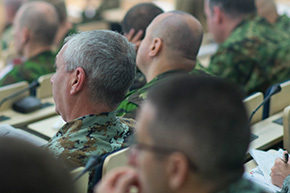 The Course was organized by the NSO with support of the Naval Postgraduate School in Monterey, the NATO Energy Security Centre of Excellence in Vilnius, Allied Command Transformation, Allied Command Operations, and NATO’s Emerging Security Challenges Division. 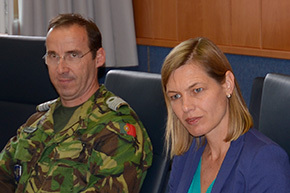 On 01 Aug 18, Major General Franz Weidhüner, Head of the Bundeswehr Joint Forces Office, paid his first visit to the NATO School Oberammergau (NSO). 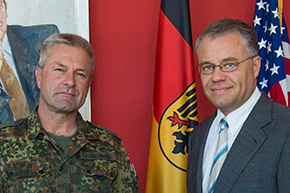 After being welcomed by the NSO’s Deputy Commandant, Colonel Joachim Schreckinger, General Weidhüner was briefed on the NSO mission and core activities in addition to the current status of the 32 Bundeswehr staff. The visit concluded with a guided tour of the NSO Campus and facilities. 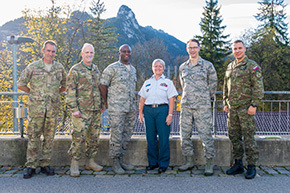 Afterwards, the General continued his tour to Garmisch-Partenkirchen where he visited the George C. Marshall European Center for Security Studies. General Weidhüner assumed command of the Bundeswehr Joint Forces Office in Bonn, Germany, on 15 Dec 17, and thus directs all German Armed Forces schools, training and research centres, the Military Counterintelligence Service, and the Bundeswehr's higher academies and universities. On 19 Jun 18, the NSO hosted the new Slovak Chief of Defence, Lieutenant General Daniel Zmeko, and the Command Senior Enlisted Leader of the Slovak Armed Forces, CSM Vladimír BELUŠ. 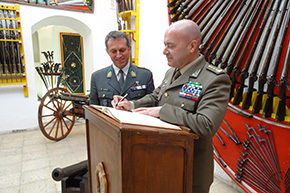 On 7 May 18, LG Zmeko assumed responsibility as the highest ranking military Commander in Slovakia, placing his visit to the NSO as one of his first official events in his new capacity. This occasion marked history for the school as the first-ever visit of a Slovak CHOD in the 65-year history of the school. LG Zmeko and the NSO Commandant, Col Dreifke, discussed various topics including NATO Adaptation, the security environment in central and eastern Europe, and the importance of educational development in today‘s modern armed forces. 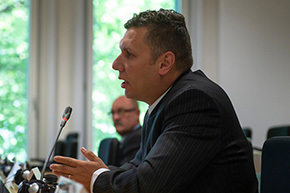 LG Zmeko was delighted to see an increasing number of Slovak students in recent years. He also took great satisfaction and pride seeing a Slovak Senior NCO, CSM Miroslav DULAJ, as the Command Senior Enlisted Leader of the school. LG Zmeko assured the Commandant about future Slovak support and that he will advocate for increased faculty from NATO and Partner nations to meet the growing mission demand at the NSO. 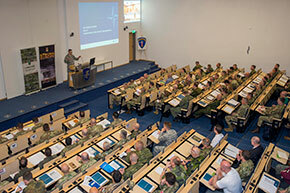 From on 30-31 May 18, the NSO participated in the V4 Senior Enlisted Seminar in the Czech Republik. 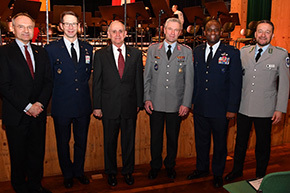 The NSO was represented by Command Senior Enlisted Leader (CSEL) Command Sergeant Major Miroslav Dulaj and Superintendent of the Academic Department Sergeant Major Martin Gut. 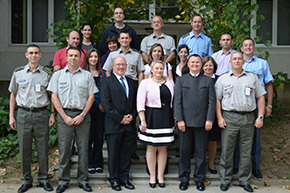 Twenty four top enlisted leaders from the Czech Republic, Slovakia, Hungary, Poland, Texas, Nebraska, the NSO and NATO ACT discussed topics with regards to Non Commissioned Officers (NCOs), especially the future development of the NCO Corps and mutual cooperation in the area of education and training. Baseline for discussion was the Strategic Foresight Analysis and NATO NCO Bi-SC Strategic Command Strategy and NCO Guidelines. At the seminar, NCOs serving or having served at the NSO met. 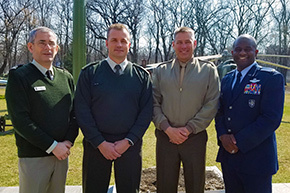 Chief Warrant Officer Tibor Bogdán, a former course director and instructor at NSO’s NCO Programme, was selected to become the next ACT CSEL, replacing CCM Jack Johnson Jr. later this year. 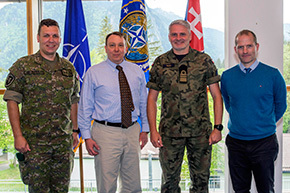 From 08-09 May 18, the NATO Land Operations Discipline Workshop took place at the NATO School Oberammergau (NSO). 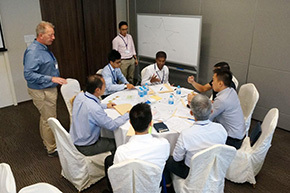 The purpose of the workshop was to facilitate the development of new training and education opportunities based on identified education and training gaps as well as providing a forum for the Land Operations Community to express and identify individual, collective or potentially duplicated training requirements. 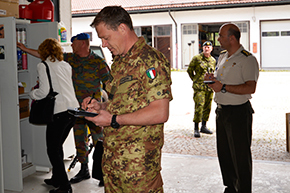 On 09 May 18, Course Control Documents (CCDs) were signed by the Land Operations Requirement Authority, represented by Commander Piotr Paluch, LANDCOM, and Mr Mathew Fitch, Department Head, USAREUR. 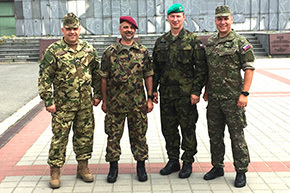 The Slovak Armed Forces were represented by Command Sergeant Major Miroslav Dulaj, the NSO’s Command Senior Enlisted Leader. 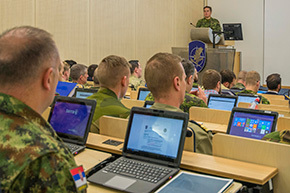 The signed CCDs allow the Slovak Armed Forces Academy to certify the course Introduction to the Planning of Joint Operations and finalize the ACT institutional accreditation process. 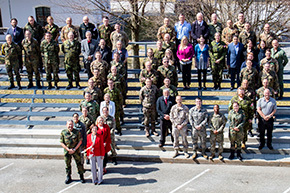 From 7-10 May 18, the NATO School Oberammergau (NSO) hosted this year's first iteration of the Combined Training Conference (CTC) with 372 attendees from 40 countries. *Turkey officially recognizes the Republic of Macedonia with its constitutional name. A team from the NATO School Oberammergau (NSO), in close cooperation with the NATO Defense College (NDC), conducted the 18th edition of the 'International Week' at the Ukrainian National Defence University (UNDU). From 09 - 10 Apr 18 the NATO Concept Development and Experimentation (CD&E) Seminar was delivered, for the very first time, in Singapore. 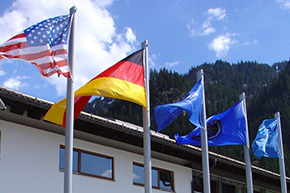 The NATO School Oberammergau (NSO) is constantly looking for new tools and methods in training and education, student skills recognition, competencies and achievements. Since the start of the digital badge programme in summer 2017, the NSO has issued 1139 badges to students attending 27 different courses. 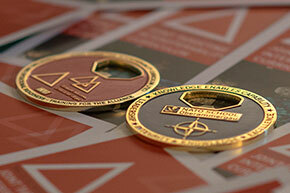 Currently 55% of all NSO students sign up for a digital badge upon the successful completion of their course. 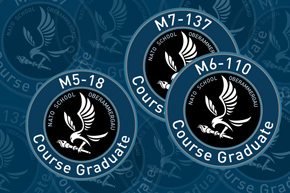 By the end of 2018, the NSO plans to make digital badges available for 85 courses. 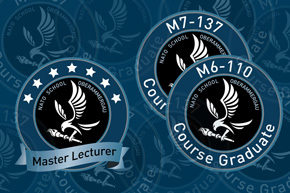 NSO course graduates can claim and display their digital badge on any online platform. 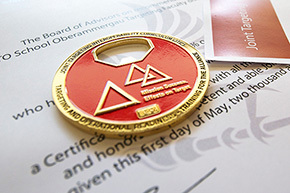 The NSO’s digital badges are also portable and contain metadata which provides information about the issuing organization, the recipient, and evidence that substantiates the award of the badge. If you would like more information on the NSO Digital Badging initiative, please use the contact form at the top of this page and select ADL/eLearning from the Category dropdown menu. 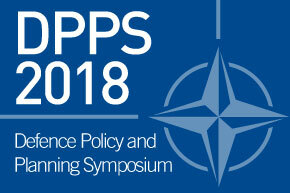 From 27 Feb - 01 Mar 18 the NATO School Oberammergau (NSO) hosted the Defence Policy and Planning Symposium (DPPS) chaired by Mr Heinrich Brauss, Assistant Secretary General for Defence Policy and Planning, International Staff, NATO HQ. 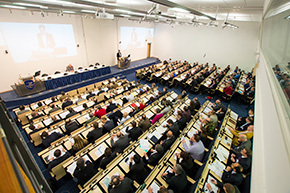 The theme of this year’s symposium was "NATO fit for purpose". Three themes emerged regularly and prominently during the presentations and discussions: strategic narrative, speed, and prioritisation. 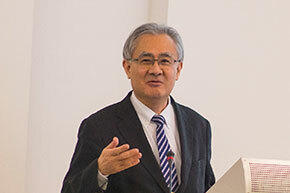 The symposium's chairman described that the event as "[…] most productive." He pointed out, that he has "[…] no doubt that many of the ideas expressed here will feature prominently in our work in the run-up to the Summit and beyond. […]." The DPPS is an annual gathering that started in the mid-nineteenseventies which the NSO has hosted for the past several years. 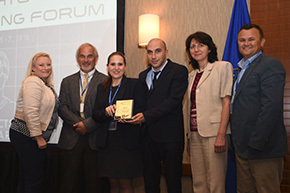 This year, participants from 34 nations and 11 organizations attended the DPPS. 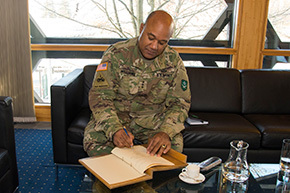 From 13-14 Mar 18, Brigadier General Ploughman, Assistant Chief of Staff, J5 Plans Directorate at Supreme Headquarters Allied Powers Europe (SHAPE), visited the NSO Joint Plans and Operations Department (JPOD) and discussed SHAPE's vision for the NATO Comprehensive Operations Planning Course (COPC), additional NSO course offerings, and the Operations Planning Discipline with JPOD staff and the NSO Leadership. 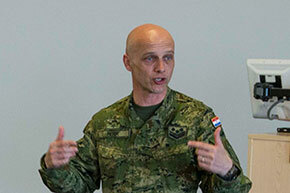 The General provided insights into educating NATO and partner staff officers and conveyed direction and guidance for future improvements in the art of NATO operations planning, a key component of the NSO’s academic portfolio. General Ploughman's visit included observing a COPC war gaming cycle, one-to-one interviews with instructors from JPOD, and a round table summative discussion with the Dean of Academics, Colonel Brian A. Hill, USA-AF, as well as members of JPOD. 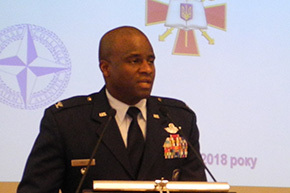 General Ploughman commented: "With SACEUR’s focus on developing and growing NATO’s most capable planners, the NSO provides a conducive environment in which students are able to focus on learning and practicing the operations planning process free from distractions and pre-conceived ideas or existing thinking." 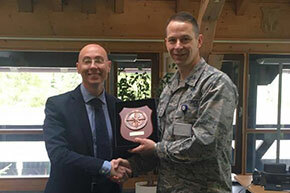 JPOD’s Director, LTC Christopher Davies, GBR-M, noted the context of the visit was absolutely on target, stating: "To the future, this visit has increased the NSO’s dialogue with SHAPE and will ensure JPOD's portfolio remains absolutely relevant to NATO and continues to train students fit for purpose within the Joint Force Commands, NATO Force Structure, and beyond." 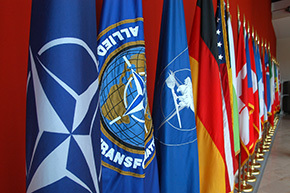 Operations success is insured by intensive and thorough planning across the full spectrum of NATO collective defence, cooperative security, and crisis management scenarios. In this spirit, operations depend on effective and efficient planning. 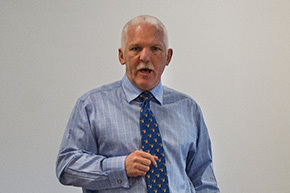 Who better to share expertise with the NSO, the Alliance's focal point for individual education and training at the operational level, than Brigadier General Ploughman. 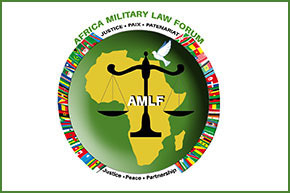 From 27 Feb – 01 Mar 18, U.S. Africa Command (USAFRICOM) Office of Legal Counsel hosted the Africa Military Law Forum (AMLF) at the NATO School Oberammergau (NSO). From 11-15 Feb 18, the NATO School Oberammergau (NSO) co-hosted the first Critical Energy Infrastructure Protection (CEIP) Course at the NATO-Istanbul Cooperation Initiative (ICI) Regional Centre in Kuwait. 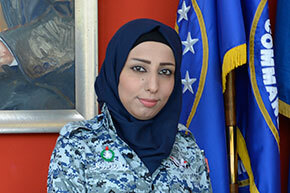 The course was organized under the auspices of NATO Science for Peace and Security (SPS) Programme and brought together experts from Kuwait, NATO’s Emerging Security Challenges Division, the NSO, the US Naval Postgraduate School (NPS), the NATO Energy Security Centre of Excellence (ENSEC COE), and Georgetown University, Washington DC. 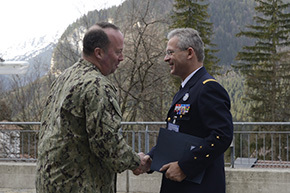 On 24 Jan 18, Colonel Timothy Dreifke, the Commandant of the NATO School Oberammergau (NSO) , and NSO key leaders promoted the strong partnership with the George C. Marshall European Center for Security Studies (GCMC) at a New Year's Reception held at the Garmisch-Partenkirchen (Ga-Pa) Kongresshaus. 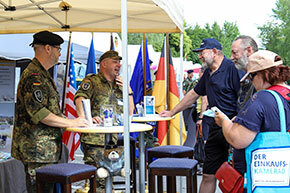 Hosted jointly by the Municipality of Ga-Pa and the GCMC, this year's event brought more than 450 civilian and military leaders from across Bavaria to celebrate the start of a new Academic Year. The evening began with a performance by the Gebirgsmusikkorps Garmisch-Partenkirchen. The Lord Mayor of the Municipality of Ga-Pa, Dr. Sigrid Meierhofer, reflected on the area's success in 2017 including its close ties to the GCMC and the NSO. She reflected on both ongoing civil infrastructure projects and future plans to support Ga-Pa's growing population. 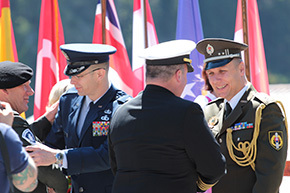 The GCMC Director, U.S. Army Lieutenant General (Ret) Keith W. Dayton, took the opportunity to thank the community of Ga-Pa and Bavaria for 25 years of support which enables the GCMC to "create a more stable security environment by advancing democratic institutions and relationships; promoting active, peaceful, whole-of-government approaches to address transnational and regional security challenges; and creating and enhancing enduring partnerships worldwide" . 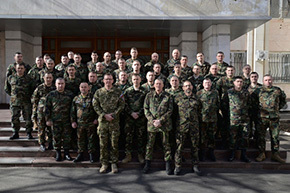 As NATO's premier Education and Training institution at the operational level, the NSO partners with the GCMC in strengthening interoperability and stability for NATO Allies and a host of key partners with the goal of promoting dialogue and understanding among the global community of nations. 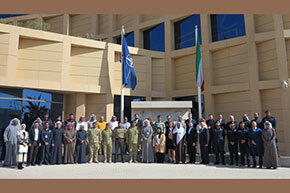 On 10 Jan 18, NATO School Oberammergau (NSO) representatives Colonel Enrico Mattina, ITA-A, and Colonel Paul Handle, AUT-A, visited the Tunisian War College to deliver lectures on NATO and Partnership programmes. 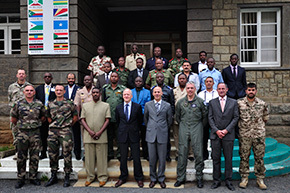 The War College is presently hosting its 22nd class with a total of 82 officers, mostly in the rank of OF-4, including eight international students from Germany and seven African nations. The NSO representatives brought an international flavour to the curriculum resulting in genuine interest in the presentations and discussions. 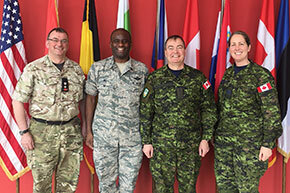 The visit was of mutual benefit as they were able to exchange views on current issues and further cooperation with some of the officers in the audience having already attended courses in Oberammergau or received training at their units by NSO’s Mobile Education and Training Teams (METTs). In 2018 Tunisia will send officers to 32 different NSO courses. Tunisia joined NATO’s Mediterranean Dialogue in 1994 and in March 2016 requested a Defence Education Enhancement Programme (DEEP). NSO’s engagement within the DEEP is to support the faculty and curriculum development for the Tunisian Staff and War College. Under the auspices of the NATO Science for Peace Programme (SPS) the NATO School Oberammergau (NSO) supports Montenegro’s cyber defence objective as defined in its NATO Accession Plan. From Mar - Dec 2017 the NSO, in collaboration with the U.S. 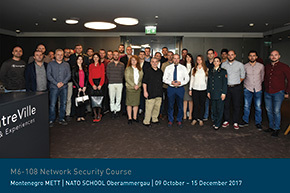 Naval Postgraduate School (NPS), conducted two cyber security courses in Montenegro’s capital Podgorica: the Network Security (M6-108) Course and the Network Vulnerability Assessment and Risk Mitigation (M6-109) Course. The training audience of 30 students was comprised of professionals from various governmental organizations, whose daily tasks include network management and administration, as well as engineers, technicians, forensic investigators and penetration testers. Each course lasted ten weeks including both resident instruction and self-paced learning. During the first and last week of each course students had to attend lectures in Podgorica with eight weeks of distance learning in between. At the end of the Network Vulnerability Assessment and Risk Mitigation Course (M6-109) 21 students received an industry standard certification in ethical hacking from the International Council of E-Commerce Consultants. This coveted certification significantly improves national expertise and enhances national capacity to respond to cyber incidents and to the defence of national networks. The students valued the lectures, remote laboratory environment and final projects and exams offered by the two courses. Students stated, they " […] can use this knowledge and the presented real world examples to improve [their] regular work " and underlined that, " […] it is nice to know so much about cyber security. […] The courses gave a great opportunity for intensive and broad learning. " 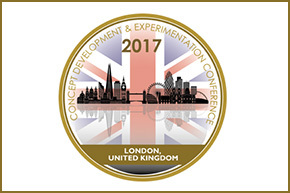 From 09 - 12 Oct 17, the International Concept Development and Experimentation (CD&E) Conference took place in London. 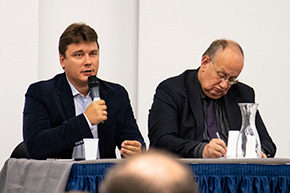 The 17th iteration of this conference featured the largest number of participants so far: more than 270 military and civilian representatives from NATO, the European Union, national headquarters and ministries, the International Committee of the Red Cross as well as academia and industry. 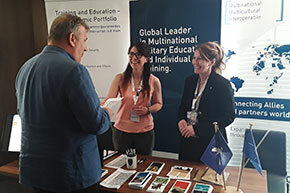 Representatives from more than 30 Countries attended to discuss and exchange views on this year's main topic: "Maintaining Advantage in an Era of Global Challenges" . On 12 Oct 17, the NATO School Oberammergau Commandant, Colonel Timothy E. Dreifke, addressed representatives from 24 Partnership Training and Education Centres(PTECs) at the NATO Headquarters, Brussels. 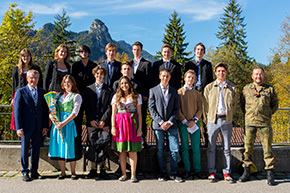 On 11 Oct 17, 15 pupils currently studying Advanced-level English at the Benedictine High School in Ettal (5 kilometers from Oberammergau) presented the German Country Brief to an audience of over eighty NATO School Oberammergau (NSO) staff and spouses. The Brief addressed a broad spectrum of German culture, history, politics and facts from Beethoven to beer, from the Bundestag to the Bundesliga. 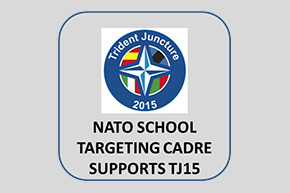 The pupils were not only placed in the unfamiliar surroundings of the NATO School but also had to talk, for over an hour, in a second language and in the presence of their English teacher and headmaster, Hubert Hering. Through their proficiency in English, often combined with humour, the pupils successfully achieved their goal and expressed their gratitude for the opportunity to gain valuable experience and to engage in conversation. 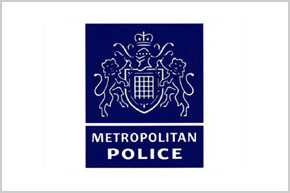 NSO staff are planning a return visit to the Ettal High School to instruct and debrief the students and to further links between the NSO and the local community. 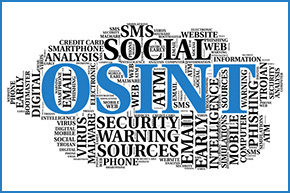 From 26 – 28 Sep 17, the NATO School Oberammergau (NSO) hosted the NATO Open Source Intelligence (OSINT) Working Group (OSIWG) workshop for OSINT training development. In response to the Allied Command Operations (ACO) requirement, this workshop was directed by the OSIWG to develop new curriculum consistent with MC 0647 – Policy on OSINT and doctrine AJP-2.9. Allied Command Transformation (ACT) has selected the NSO to be the primary education and training facility to support the training outcome. This new curriculum will enhance existing instruction by incorporating contemporary practical exercises and by adding e-Learning modules as mandatory pre-requisites. 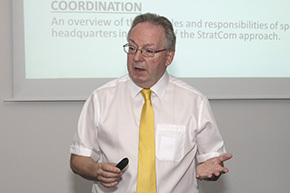 The participants in this workshop included national representatives from Canada, Estonia, Hungary, Romania, Poland, The Netherlands, USA and NATO's Intelligence Fusion Centre (NIFC) complimented by NATO Command Structure representation from the Joint Warfare Centre (JWC), ACT and the Supreme Headquarters Allied Powers Europe (SHAPE). 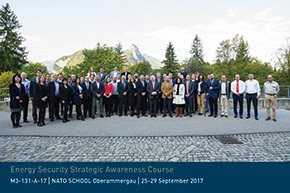 From 25 - 29 Sep 17, the NATO School Oberammergau (NSO) facilitated the third Energy Security Strategic Awareness Course. 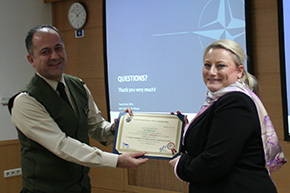 The course was held in cooperation with NATO Headquarters, Allied Command Operations, Allied Command Transformation, the NATO Energy Security Centre of Excellence and the US Naval Postgraduate School (NPS). This year’s iteration of the course featured the largest number of participants so far. 40 students from 23 allied and partner countries attended. According to Colonel Timothy Dreifke, Commandant of the NSO, this vindicates the School’s decision of three years ago to go ahead with this new kind of course. 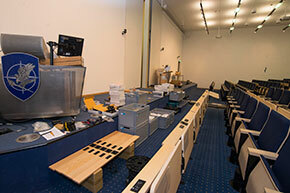 Alan Howard, Deputy Chair of the NPS’s Energy Academic Group, agrees: "The NSO is the perfect venue for such a course. The NSO’s infrastructure and staff help to create the right atmosphere for disseminating a lot of knowledge in a rather short span of time. The participants' feedback shows that they truly appreciate this. Their engagement throughout the course was exemplary." The course takes place annually in the Autumn and covers various aspects of energy security, ranging from cyberattacks on energy infrastructure to maritime security. 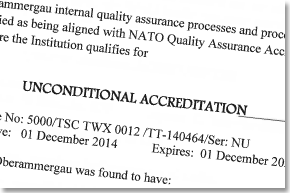 The NATO School Oberammergau (NSO) study, conducted by a Canadian professor of Political Science from Ottawa, Ontario Canada, has now been successfully concluded. There is no more need to respond to E-Mails that had been sent out by NSO and the Canadian supplier, asking for participation in this survey. Thanks to all who supported our efforts in improving our students’ learning experience. NSO will post a brief summary of findings in due course, once the final report has been submitted to us. 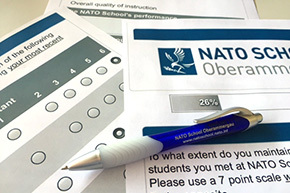 On 06 Jun 17, the NATO School Oberammergau (NSO) launched a survey aimed at obtaining student feedback from those who have attended NSO courses over the past three years. Should you or your colleagues receive an E-Mail from NSO's 'QA-Team' account, this is a genuine E-Mail introducing the survey. A follow-up E-Mail from Dr. Conrad Winn, a Canadian Professor of Political Science, will contain the link to the online questionnaire. This follow-up E-mail originates from the Logit Group in cooperation with Cido Research, both Canadian suppliers to Dr. Winn. Should you have any further questions related to the survey, please do not hesitate to contact the POCs listed in the E-mails. The NSO appreciates you taking a few minutes to help improve our training, making the NSO an even better learning experience for future students. Thank you for your contribution. 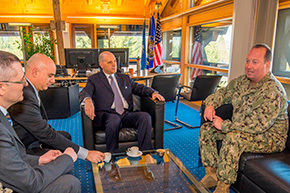 On 19 May 17, a Memorandum of Understanding was signed by Professor Roberto Mugavero, President of the Observatory on Security and CBRN Defence (OSDIFE) and USA Air Force Colonel Timothy Dreifke, Commandant of the NATO School Oberammergau (NSO). This memorandum provides the basis for a future closer cooperation in the field of CBRN Defence between the two Institutions in order to further enhance the successful outreach policy and the high level of professional education and training offered by the NSO. 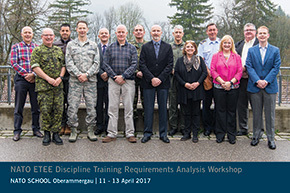 From 15 - 19 May 17, the NATO School Oberammergau (NSO) hosted the first Joint Intelligence Preparation of the Operational Environment (JIPOE) workshop. This workshop was conducted in order to support the development of the NATO level 3 doctrine document AIntP-17 (Allied Intelligence Publication) "JIPOE". The aim of AIntP-17 is to provide a capability within NATO that will support the commander's decision making process during operational planning and improve interoperability by providing guidance to operators, trainers and practitioners executing the JIPOE process. In addition, AIntP-17 will serve as the basis for more detailed standard operating procedures (SOPs) and will be used inside several NSO courses. The participants in this first workshop included representatives from USA, Sweden, Poland, the Netherlands, Great-Britain, ACT and LANDCOM. 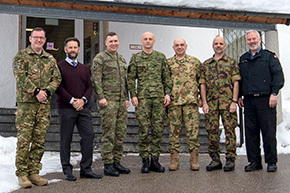 On March 23, Rear Admiral Pietro Luciano Ricca, Head of Personnel Department of the Italian Defence General Staff, visited the NATO School Oberammergau (NSO) in the spirit of the long pursued policy of cooperation with this NATO prime educational institution. After an office call with the NSO Commandant, US Navy Captain Scott Butler, and the Dean of Academics, Colonel Timothy Dreifke, he received a presentation on the activities of the School. 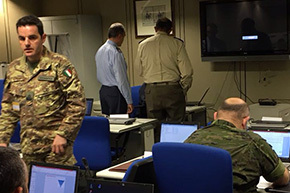 Later on, he had the occasion to meet with the Italian personnel serving at the NSO, the third largest military community there, and took a tour of the facilities. Between 30 Jan - 03 Feb 17, the NATO School Oberammergau (NSO) hosted the NATO Senior Officer Policy Course. 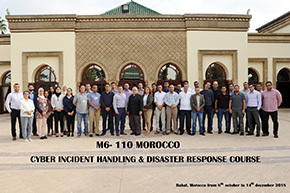 The Course is a biannual, one-week strategic level course facilitated by the NSO's Cooperative Security (COSEC) Department whose remit is to deliver a broad spectrum of training and knowledge within a strong multinational context. 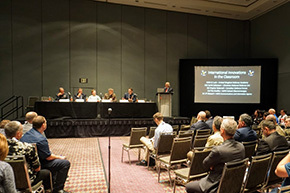 Guest speakers from the North Atlantic Council, NATO Headquarters, the Bi-Strategic Commands, as well as several academic and political institutions, discussed NATO's current and future security environment. 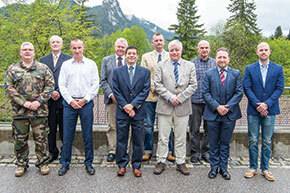 The NATO School Oberammergau (NSO) hosted the NATO Senior Officer Policy Course, between 03 - 07 Oct 16, to an audience of OF-5 officers and above. 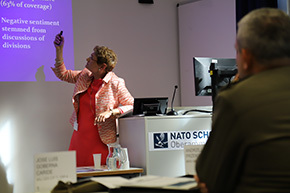 The NATO Senior Officer Policy Course is a biannual opportunity for NATO personnel to discuss current and future security issues with direction and guidance provided by senior military leaders, policymakers and members of academia. 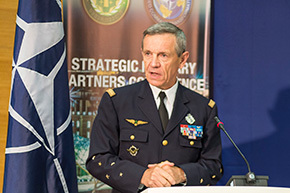 On this occasion, guest speakers included representatives from the North Atlantic Council, NATO Headquarters, the Bi-Strategic Commands and the Organization for Security and Cooperation in Europe, with a keynote speech delivered by SACEUR, General Scaparotti. 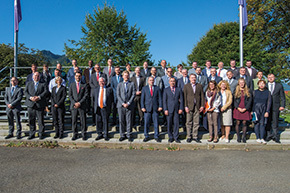 Attendees "Energy Security Strategic Awareness Course 2016"
On 30 September the second Energy Security Strategic Awareness Course concluded at the NATO School in Oberammergau. 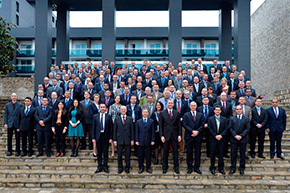 During the five day course 33 participants from 21 NATO and partner nations discussed crucial energy security issues, including the security implications of global energy developments, threats to Critical Energy Infrastructure, and enhancing energy efficiency in the military. 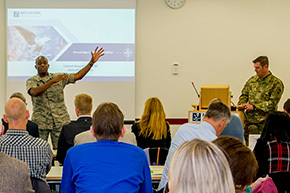 Like the successful pilot course in 2015, the second iteration was a joint project by the NATO School, the NATO Energy Security Centre of Excellence in Vilnius, the Naval Postgraduate School in Monterey, the two NATO Strategic Commands, and NATO's Emerging Security Challenges Division. Speakers included renowned energy experts from the academic community, various ministries, the military, and the private sector. 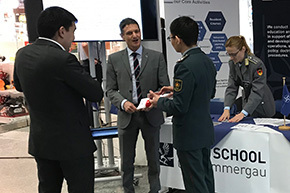 The students attended lectures on the geopolitics of energy security, maritime security, cyber defence, the role of the private sector in energy security, military energy efficiency approaches, and other related subjects. They also worked in syndicates and conducted a table-top exercise to develop their own responses to energy-related security challenges. The course is supposed to become an annual event and corresponds to the Wales and Warsaw Summits' call to enhance training and education efforts in energy security. On 26 Sep 16, Mr. Harald Kühn, of the Bavarian Parliament, was welcomed to the NSO by the Deputy Commandant, Colonel Joachim Schreckinger. Mr. Kühn visited the exhibition of NSO history and afterwards invited German staff members to join in conversation during which he answered questions regarding local and national politics. He further expressed his appreciation of the military, especially in his constituencies of Weilheim-Schongau and Garmisch-Partenkirchen. 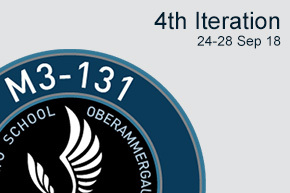 In September 2016, the NATO School Oberammergau (NSO) facilitated the inaugural Gulf Cooperation Council (GCC) Hostage Negotiation Workshop hosted by the United Kingdom Metropolitan Police. 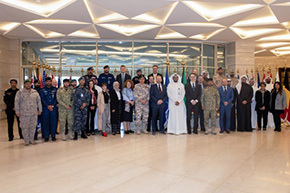 Delegates from the United Arab Emirates, the Kingdom of Saudi Arabia, Qatar, Bahrain, Oman and Kuwait attended the two-day workshop with the aim to support ongoing collaborative efforts in countering the threat of, and response to, terrorist-inspired events. 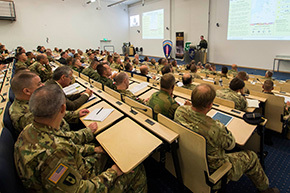 During the period 25-29 July 2016, the NSO hosted the United States Army Europe (USAREUR) Combined Training Conference (CTC) attracting approximately 390 US and NATO military planning staff. The aim of the CTC was to synchronize, source and schedule regional, land-based, joint integrated exercises and individual training that support NATO interoperability and develop Allied and partner capabilities and capacities, with a planning horizon of 2017-2019. 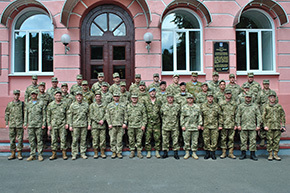 In the first quarter of 2016, SGM Janez Smid (SLO) developed a two-week seminar for Ukraine (UKR) NCOs under the auspices of the Defence Education Enhancement Programme (DEEP). 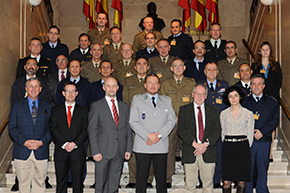 The DEEP mission is to contribute to international security through the professionalization of the Officer Corps, NCO Corps and civilian defence officials of partner countries to ensure their respective defence education institutions are compatible with western defence education standards and values. 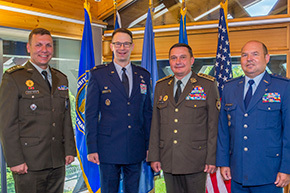 SGM Smid organized and led two seminars in the Ukraine from May 23 to June 17 and was ably supported by CWO Yancy Savard (CAN), SGM Miroslav Dulaj (SKV), SGM Robert Plzak (CZE) and CWO Henry Bethlehem (NLD) of the NSO NCOPD. The NSO staff presented lessons and guided discussions on Officer-NCO Relations, NCO Development, Gender and Equal Opportunity, Counselling and Communication and Career Paths. 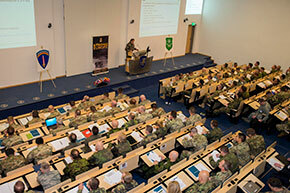 Furthermore, the NSO staff presented the NATO NCO Bi-SC Strategy and Recommended Non-Commissioned Officers Guidelines from Oct 2010, the NCO Professional Military Education Reference Curriculum and the NCO programmes from their respective nations and services. 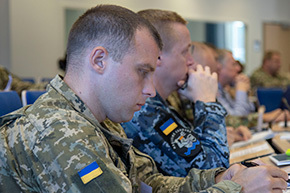 The seminars provided the UKR Leadership, Officers and NCOs with detailed insight in how to develop their NCO Corps and the opportunities that arise from a having well-trained educated and structured NCO Corps. 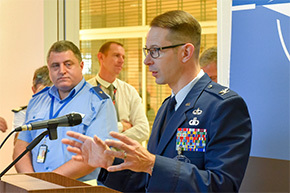 The Joint Plans and Operations Department was created in June 2016. 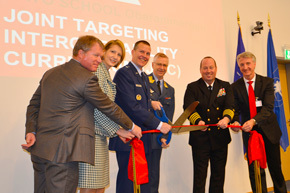 It was the product of a merger between the Joint Operations Department and the Joint Plans Department. In reality, this will have little impact on the current course delivery of the two departments, as they merge; things will carry on as it was before. This merger will impact on NSO's daily business in terms of the naming conventions and department function. In essence everything that was related to JOPS and JPD is to be directed to the JPOD. 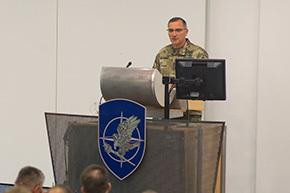 On 05 May 2016, Command Sergeant Major Davor Petek, the Command Senior Enlisted Leader NATO Allied Command Operations, addressed the NATO NCO Orientation Course, held at the NATO School Oberammergau, followed by an open discussion with 50 students from 17 NATO and partner countries. 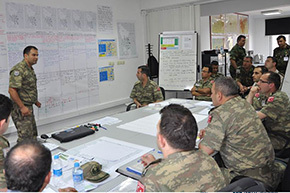 The NCO Orientation Course teaches students the NATO structures, policies, operations and emerging issues required for NCOs to work effectively within the Alliance. CSM Petek also forwarded greetings and a message on behalf of General Curtis Scaparrotti, Supreme Allied Commander Europe. 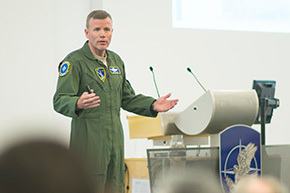 On 21 Apr 16, Air Marshal Graham Stacey, the Chief of Staff of NATO Allied Command Transformation, gave the keynote speech to the NATO Operational Law Course held at the NSO. The Air Marshal’s address on The Commander’s Expectations for Legal Support was well received by the multi-national audience and provided ample ammunition for debate and cross examination during the subsequent Question and Answer session. The visit concluded with an office call with the NSO Dean of Academics prior to the Air Marshal’s departure for Virginia. 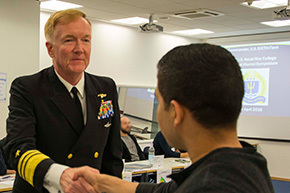 On 14 Apr 16, Vice Admiral James Foggo, Commander US 6th Fleet and Commander Naval Striking and Support Forces NATO (STRIKFORNATO), paid his first visit to the NATO School. 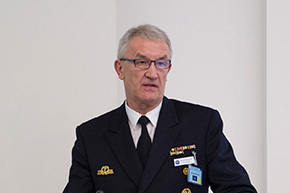 During his visit VADM Foggo addressed the NATO Non-Commissioned Officer Intermediate Leadership Course and visited the Exhibition of the History of the NATO School. 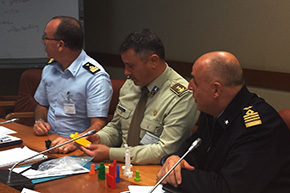 The Evaluating Emerging Technologies for Training and Education workshop was delivered for the first time at the National Defence University in Belgrade Serbia from 22 to 24 September 2015. Ambassador Marriët Schuurman is Special Representative for Women, Peace and Security (NLD CIV). Q: The recruitment and retention of women has been steadily increasing over the past few decades. 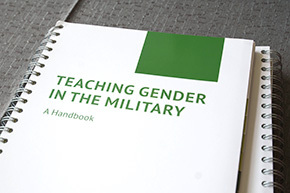 What potential do you see with the increasing percentage of women in Allied armed forces? 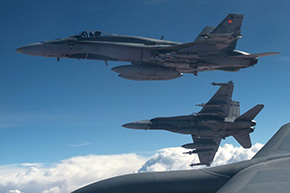 Q: How important is interoperability for NATO - today and tomorrow in regards to the changes in our security environment?